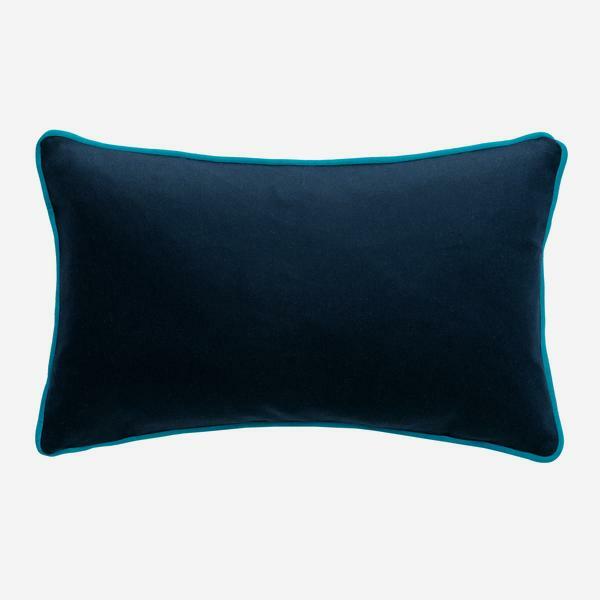 A top quality rectangular wool cushion in majestic navy blue with electric blue velvet piping. York exudes comfortable interiors, adding smartness and texture to a scheme whilst the piping injects a punch of colourful zest into a room. 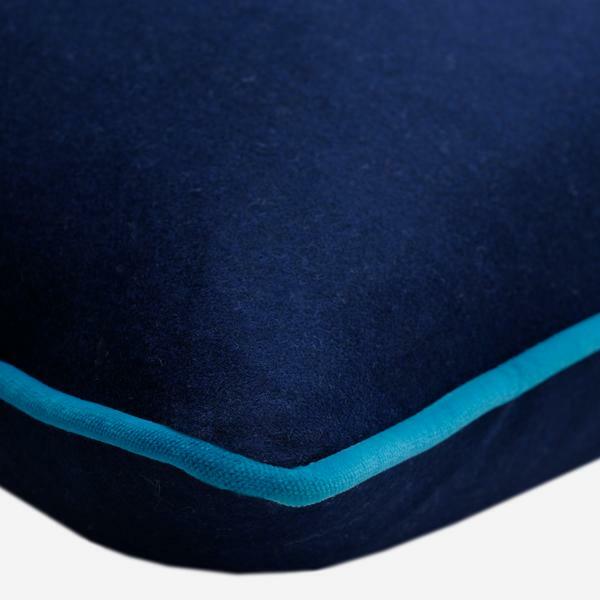 With anti-pilling technology and a Teflon finish this collection has long life and will maintain its high quality appearance over time.